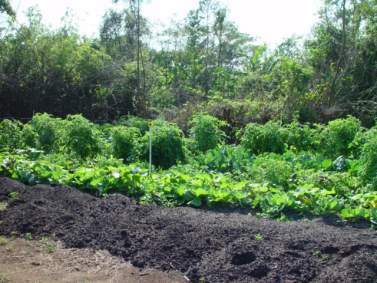 Three Sisters Farm has partnered with Slow Food Miami in an effort to plant 1000 gardens throughout South Florida in schools, communities, and private homes. Gardening is an act rich with rewards. The harvest is the most obvious, but the actual fruits of your labor are the last in a long line of gifts from the garden. The experience of growing one’s own food is just that, an experience, and the journey arguably as sweet as the goal. People garden for a variety of reasons. Some find it is the best way to connect with the earth in this modern day and age of fragmentation and detachment from the natural world. Keeping a garden as a family or group activity confirms connection not only through shared responsibility but shared reward. Having access to the healthiest, freshest food possible is another reason many people spend time cultivating the earth around them. And then there is the taste. Using heirloom seeds and organic methods guarantees the taste will not be sacrificed, but nothing tastes better or even comes close to the phenomenal taste of vegetable you grew yourself. Once you’ve tasted some of your own handiwork, you’ll realize why so many gardeners tout their vegetables as the world’s greatest. The time, energy, and resources it takes to garden are far outweighed by the rich rewards that blossom forth. Gardens can be and almost always are personalized. Some wild groves stretch for acres, others are meticulously planned and fill a neatly marked bed, some grow and thrive in containers on a sunny porch or windowsill. Whatever the size or style, a garden is defined by it’s relationship to the gardener. And it is that relationship, on any scale, that is well worth cultivating. When we talk about cultivating gardeners, it is helpful to identify areas of possible resistance. Many people associate gardening with more hard work and time than they think they can spare. Limitations of green space is another obstacle. And even folks who are sold on the idea of gardening often don’t know where to begin. Through the 1000 Gardens Project, it is our hope to inspire and assist in the implementation and growth of gardens all over the city. 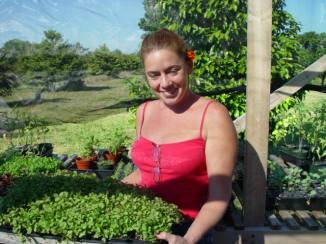 We will help begin by offering people several models of gardening, which they will find accessible and inspiring. These models are intended to serve as motivators and guides; they will no doubt be changed and personalized by every gardener who uses them. Gardening, like nature herself, is free flowing and ever changing, there are few actual rules and many beautiful variations and adaptations.